Dance your PhD. An intriguing look at how complex information might be better visualized. I am entranced today by the TEDx talk by John Bohannon, supported with dancers from the Black Label Movement. He argues rather well that science, technology, and almost any complex idea could be better visualized with dance rather than PowerPoint. Watch this. It’s worth your time. 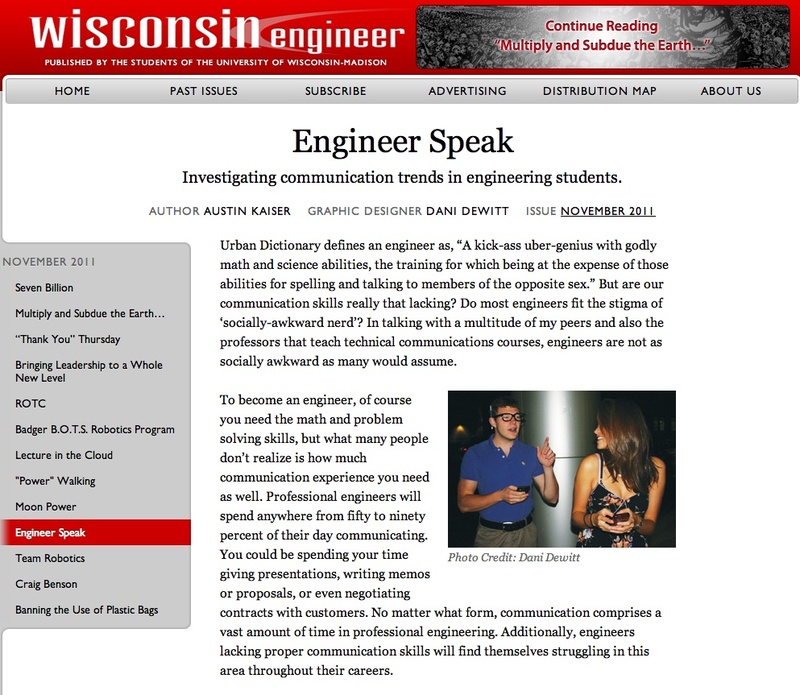 The Technical Communication Certificate at the University of Wisconsin-Madison was highlighted in this month’s Wisconsin Engineer Magazine, the oldest student engineering magazine in the nation. The article, written by Austin Kaiser, addresses the very real need that engineers have to be good communicators in their fields of work. In many, many pieces that I read, I have seen a version of the “fact” that “in a recent US federal survey, it was found that 83% of people are visual learners.” Today, I needed to track down that stat in order to cite it. Turns out, as far as I can tell, the stat was never generated by any US govt agency. In a study done by Fowler et al, this stat surfaces. But it wasn’t a US Fed government stat. It’s a decent study and deserves some attention, but that does not account for the mythical status of the claim that 83% of students are visual learners. In theory, US OSHA office used it in a report, but the link is dead to that report at this time. I really tire of sloppy research. More on this as it develops…. Sometimes, the things that I love come together in the oddest of ways. 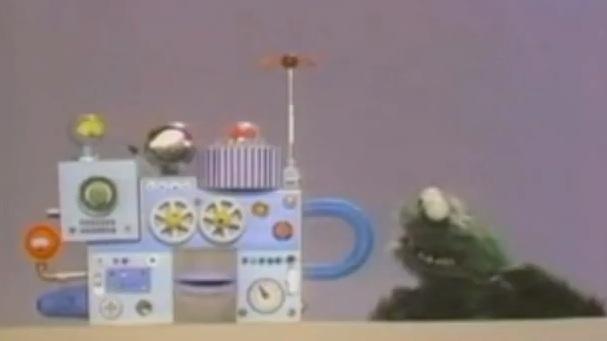 This early Cookie Monster was in an IBM training video, from what I understand. You must see this! Cookie Monster does and IBM training piece. Courtesy Youtube! 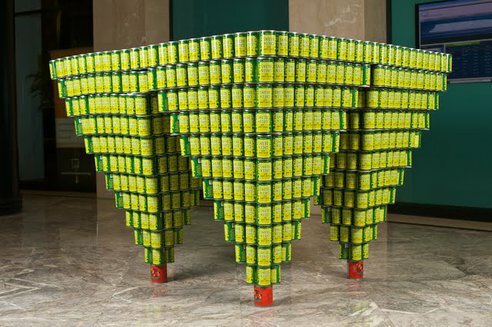 “This is fun: twenty-five New York architecture, design and engineering firms are competing to build the best designs out of an unusual architectural medium: cans of food.” The contest supports food pantry efforts and hunger awareness. It was very exciting to see MEPP, the Masters of Engineering in Professional Practice from the University of Wisconsin-Madison (and, by association, MEES), featured in an article inside Engineering News Record. Entitled “Staying Smart: Engineers and Universities Advance Life-Long Learning,” we hear from Jeff Russell, Steven L. Reid, and Matt Collins .